This post brought to you by The Hershey Company. The content and opinions expressed below are that of Gal on a Mission. 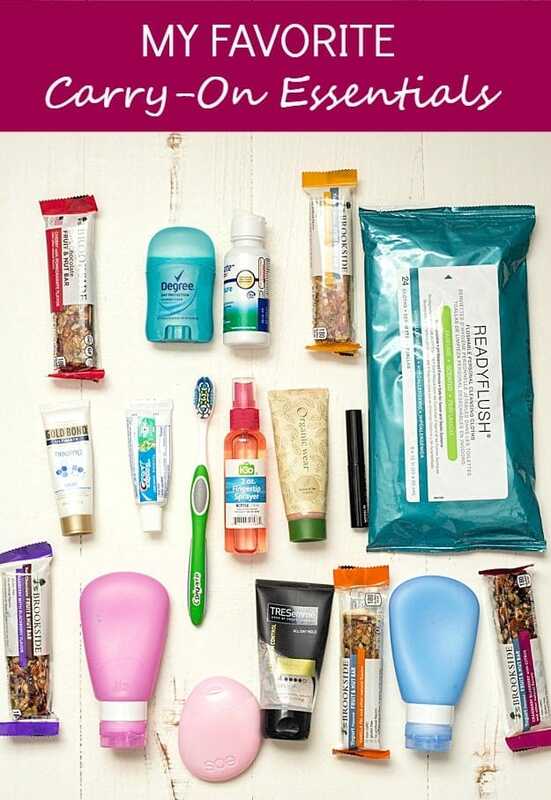 My Carry-On Essentials – No matter where in the world I travel to, my carry-on packing routine is always the same. I ensure I have all of the essentials to keep me comfortable whether it’s on a road trip, 5-hour flight, or a train ride for the weekend. This year more than ever I have been on a mission to fill my soul with stories and adventures. A couple of months ago there was a meme floating on Facebook saying, “Jobs fill your pockets, but traveling fills your soul” and I have to say, it truly does. So if you are itching to get out there and see the world, I’m here to share you my favorite carry-on essentials. It’s not everything I pack in my carry-on, it’s only the essentials. We never check bags and we both, both meaning by husband and me, carry backpacks that hold quite a bit. Enough for 2 weeks away, maybe even a month if my packing skills improve. Let’s start saying all of my liquids fit into a quart-sized plastic bag. My snacks fit into my purse, which I also carry-on as a personal item, and I put it under my seat. So now that I have shared with you on my carry-on essentials let’s chat about these brand new Brookside Fruit and Nut Bars. They are perfect on-the-go and tasty. 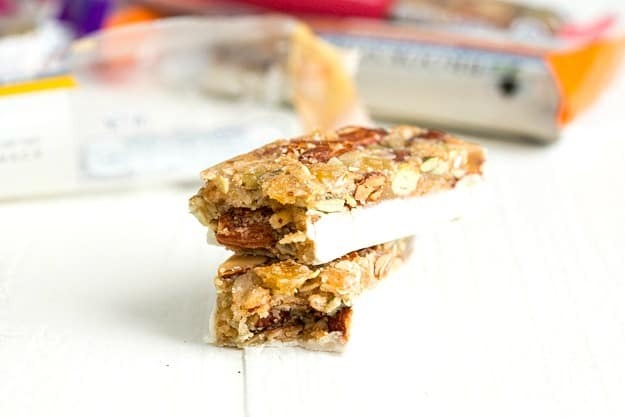 All of the bars are gluten-free, non-GMO, and they do not contain any artificial flavors. Some flavors even come in dark chocolate instead of the yogurt, so good! To celebrate the launch of Brookside Yogurt Flavored Fruit and Nut Bars they would like for us to share something expected and unexpected about your personality, and I’ll go first. I am afraid of heights, and all of my friends and family know this. What everyone might not know is that I would love to bungee jump one day. I’m so scared of heights I cannot get to the top of a ladder. Kind of crazy, right? It’s okay, I know! It’s your turn now! You can share your story on social media using the hashtag #ShareYourBROOKSIDE and #SweepsEntry for a chance to win $1,000 toward a fun and unique adventure! You can view the Full sweepstakes rules here. 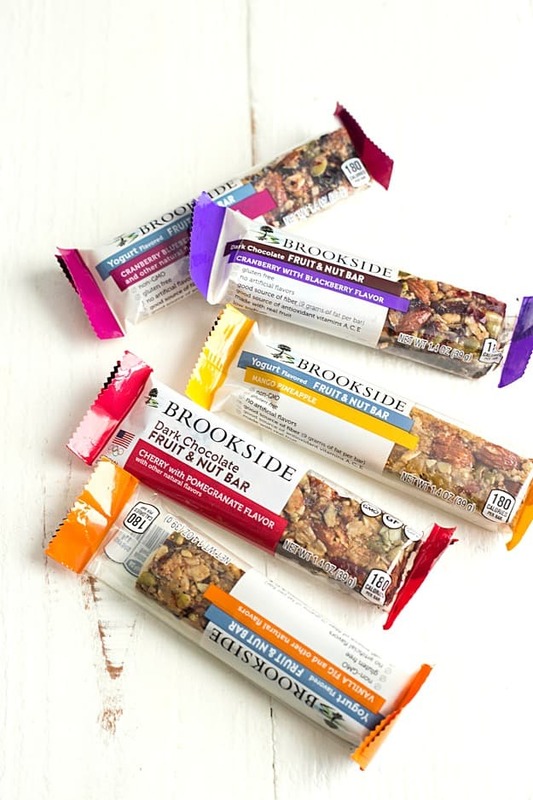 For more details about Brookside Fruit & Nut Bars, be sure to check out the the BROOKSIDE website.